As we prepare for another busy summer, Sundown Festival is always a welcome date on the party calendar. Covering all corners of the dance, the festival has been revamped this year with the addition of the expansive Mystree Woods boasting 2 stages and even more raving space, alongside a brand new camping ground. 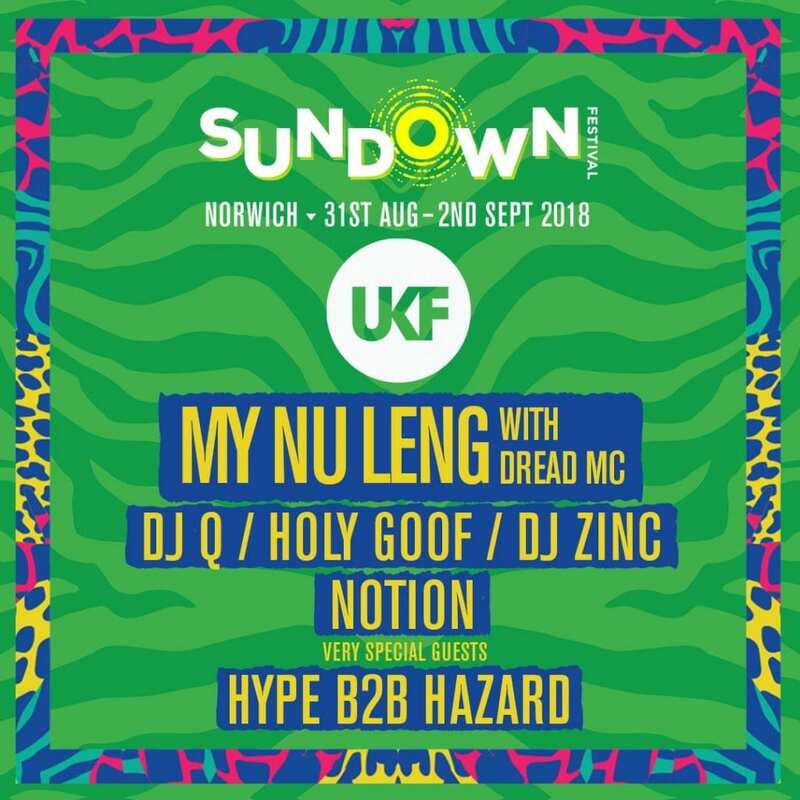 We’re repping the Castle stage on the Saturday with My Nu Leng, Dread MC, DJ Q, Holy Goof, DJ Zinc, Notion and DJ Hype B2B Hazard providing the soundtrack. With the likes of Chase & Status (DJ Set), Andy C, Wilkinson (Live), Friction, Calyx & TeeBee and more appearing on other stages, this is not one to miss!